Don’t blink or you might miss it! That can happen when you schedule three shows in three separate cities on three successive days! Well… we’re exhausted but we didn’t miss a thing and had a truly amazing time! 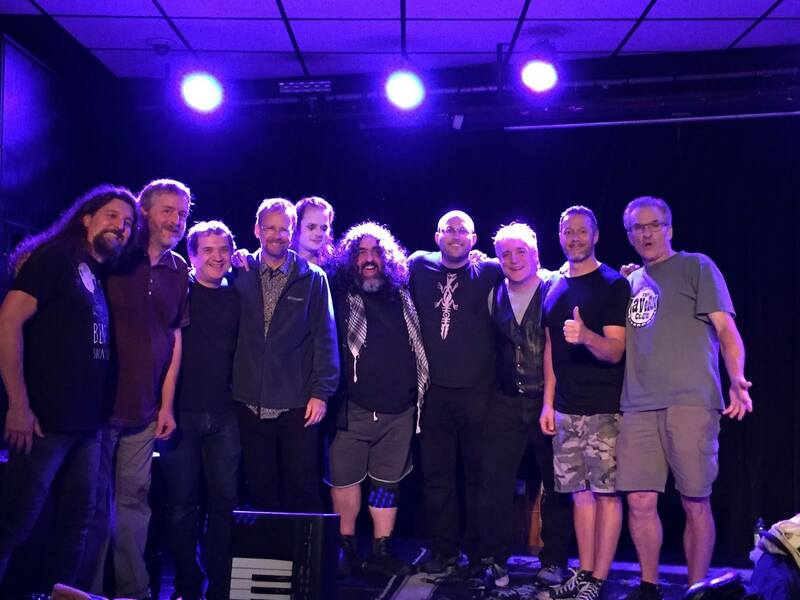 The final night of the tour took place on a rainy Sunday night to a full and enthusiastic audience at the excellent venue L’Anti Bar & Spectacles. It was wonderful to be back in Quebec City! Our 2017 Canada Tour is over and everyone returned safely home. It was action packed and sleep deprived, but so rewarding! We want to give shout outs to some of the folks who helped make it such a worthwhile excursion: to Michel S. Taillefer, for relentlessly dogging the booking and promotion for the Quebec Province shows and for coming to our rescue with transmission fluid when the Steve-mobile overheated on the way to Quebec City; to Neil Folkard for his generous hospitality in welcoming both bands into his home and working with Serge Taliansky to make our first show in Toronto such a success; to Ana Jurpik for making us one of the yummiest breakfasts we’ve had in a long time; to Trevor Davies and his Bleury House-mates for kindly hosting our show at their jam pad after our original venue fell through and for creating a unique place for musicians to share music with the community right in the heart of Montreal; and finally to our good friends Discipline. for being hilarious and fun tour mates, for graciously stepping in to co-headline the tour when our Luz De Riada sadly had to drop out, and for just being a mind meltingly good band! Canada: we love youse and we’ll be back soon!